Aquamarine Agency Limited is a Seafarer Recruitment & Crew Management Company located in Nassau, Bahamas. Our vision is to become the Seafarer Recruitment & Placement Service of choice in the Bahamas, for the deployment and management of quality Human Capital to our maritime clients both domestic and international. Overseeing crew can be a time consuming and expensive task. Aquamarine Agency offers full Crew management services that not only focus on recruitment, but also on the planning, engagement, development and retention of sea-going personnel. We utilize a cost-effective quality crew management system tailored to remove the difficulty of crew management processes and satisfy client needs. 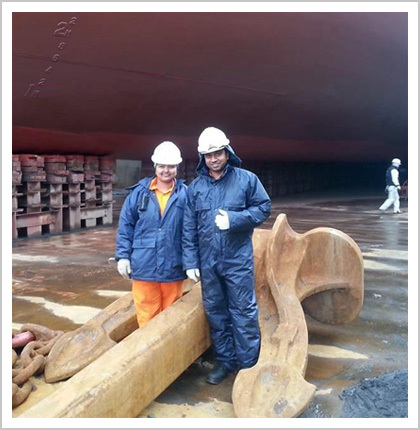 Our clients can be assured that the manpower being supplied and managed are qualified, competent, and disciplined seafarers who adhere to strict codes of safety and who are focused on providing quality service. Finding talent that is a suitable fit requires a dedicated team of expert recruiters. Our agency employs a team of highly skilled maritime professionals committed to recruiting and selecting the best talent for our clientele. Our desire is to partner with you to provide the ideal candidate who will grow along with your organization. These services are provided by our agency for a broad range of conventional cargo and cruise vessels. We pay special attention to identifying how we can improve service delivery, such as ensuring stringent recruitment checks are in place to guarantee first-rate seafarer performance standards. Here at Aquamarine Agency, we provide a superior head-hunting service for companies seeking maritime professionals for shore-side employment. Aquamarine Agency provides a range of crewing agency services to facilitate crew movement. Booking flights to destinations worldwide. Any type of medical examinations and vaccinations. SEAFARERS – Register with us today!!! At Aquamarine Agency, our Seafarers are the engine and driving force of our business. If you are competent, committed, consistent, quality driven and enshrined in excellence then we are looking for you! Register with us to become a part of the Aquamarine Seafarer Pool today!! Our registered candidates are given first preference for job vacancies. To register an application with the agency, please click on the “Apply Now” tab below. Aquamarine launches its online web presence. Read more.